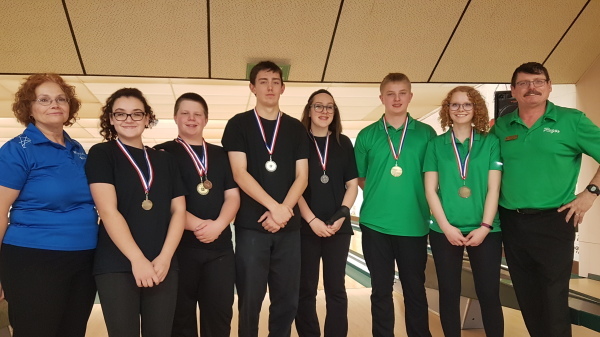 ​Provincial Champions were crowned Saturday, December 1st at Minnedosa Bowl, in the 2018 M5PBA Youth Challenge. 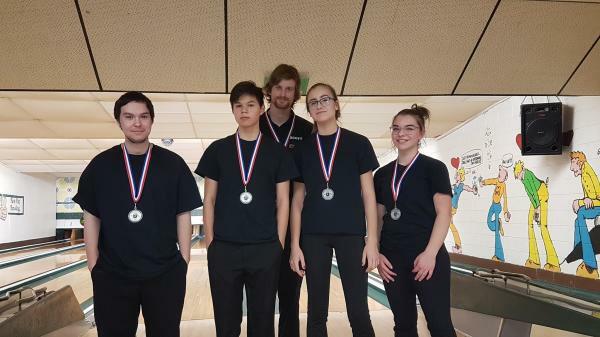 Young bowlers from the Westman and Central Manitoba zones descended on Minnedosa with the goal of advancing to the C5PBA National Championships in Ottawa. ​After 6 games of round robin competition, local Curtis Madden of Minnedosa captured the Boys Provincial Singles Gold, averaging 217.5 to take home the title. Placing 2nd and 3rd, and joining Curtis on Team Manitoba next March is another local boy, Kody Calen (198.3), with Carberry's Cooper Cupples winning the bronze medal (195.6). The girls event saw Killarney's Hailey Reimer leading the pack with a 202 average and taking home her 1st M5PBA Provincial Singles title. Finishing out the provincial all-star team and joining Curtis, Kody, Cooper and Hailey as part of the 6 players representing Manitoba this season are Justine Haywood (194.3) and Kadence Madden (190.3) of Minnedosa, taking home the silver and bronze medals respectively. 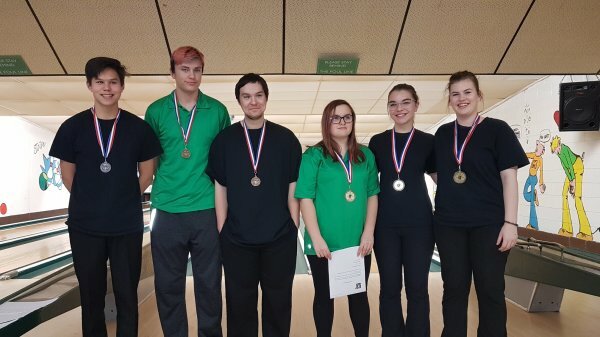 All 6 bowlers have won post-secondary school scholarships from the M5PBA. 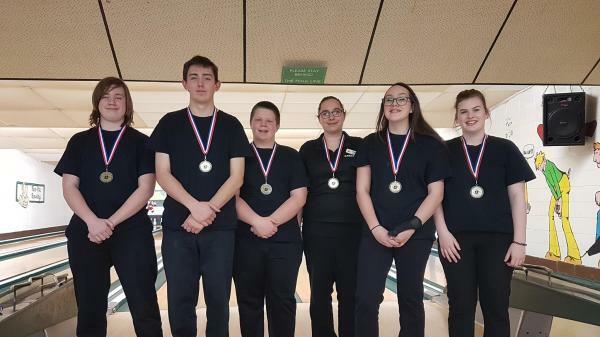 The four Minnedosa bowlers on this year's contingent will also be joined by a very familiar coach, as Debbie Tarn was named as the female coach of Team Manitoba, while Carberry's Roger Gosslin was named the male coach. The team is now preparing for the National Championships in Ottawa, ON from March 28-30, 2019. 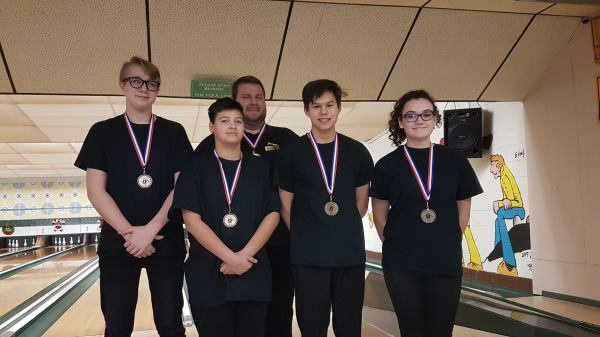 Taking 2nd Place and winning silver medals was Central Manitoba 1, consisting of Matthew Dunn, Nick Eu, Katie Haywood and Payton Moyer, coached by Scott Adamson. Bronze medallists in the team division was Central 3 - Maddox Wilson, Stefan Girouard, Greg Eu, Justine Haywood and coach James Boxshall. All-stars were named in Minnedosa in the Pins Over Average Category as well. Gold medallists were Jaden Wicks (+178) and Stacey Wilcox (+159), winning post-secondary scholarships to go with their Provincial POA title. Joining Jaden and Stacey on the All-Star team were Greg Eu (+134), Matthew Dunn (+97), Payton Moyer (+57) and Faith Clarke (+14).